This is absolutely the best pizza dough you can make at home. 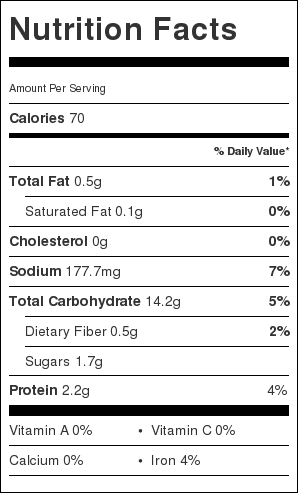 It has so much flavor, great texture and a beautiful airy interior. It can be stored in the fridge or freezer for ultra convenience and bakes up just as fresh. Roll it thin or thick and crisp it up to your preference, have the sky as your limit when it comes to toppings, and just dig in! I love love pizza, and I know many people do. I also love making my pizza dough at home, and now I know many people who do too! It only takes a couple of times and you will be hooked on this dough too! And I say a couple times because you’ll want to try it thick, thin, baked the same day, baked a few days later , baked defrosted from the freezer..baked different toppings… and then you’ll find that every time you crave pizza, this dough will save you! There are many tricks to adjusting pizza to your preference. When I first met my husband, I found out he prefers a rather softer, thicker pizza crust which made me realize I need to find a way to perfect his favorite crust and my favorite crust without doubling the work! I love a nice crisp crust which is not too thin not too thick, but sometimes it depends on the toppings—some toppings I prefer a thicker crust with, others I prefer a really thin crust with. And even though I have tested many concepts and recipes of pizza dough, I found that the best way to reach to your desired texture of dough is by adjusting baking times, baking temperatures and rise time —while keeping the dough as is. I’ve included all these tips with the recipe below. 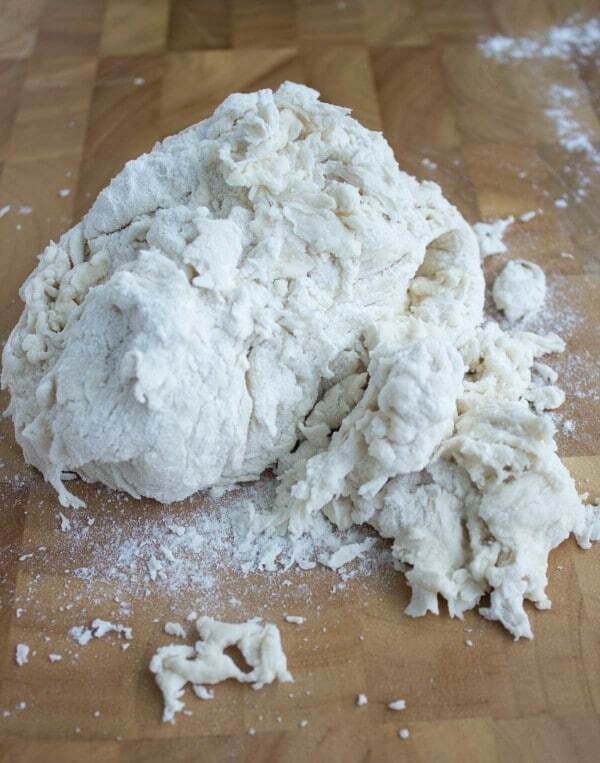 A quick note before we get started on how this beautiful dough comes together: if you don’t have a stand mixer and don’t want to ( or don’t like to) knead the dough, check out the best no knead pizza dough recipe (it requires less work but longer rise time which happens overnight so the dough is ready the next day). Start off by mixing body temperature water, the yeast and honey in a measuring cup. Add this to the flour and salt mixture and just knead in a machine or by hand for 5 minutes until it’s smooth. This dough needs just an hour and a half to rise, before it is shaped and topped with your favorite toppings, then baked to pizza perfection. 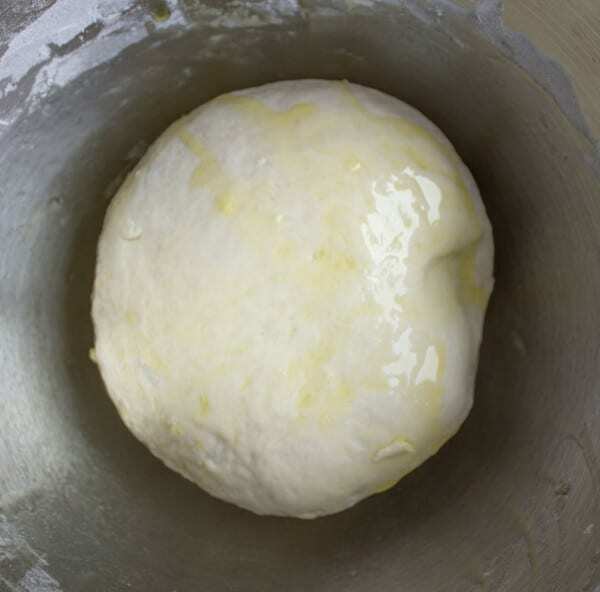 dough after kneading, rolled in oil and ready for the first rise! 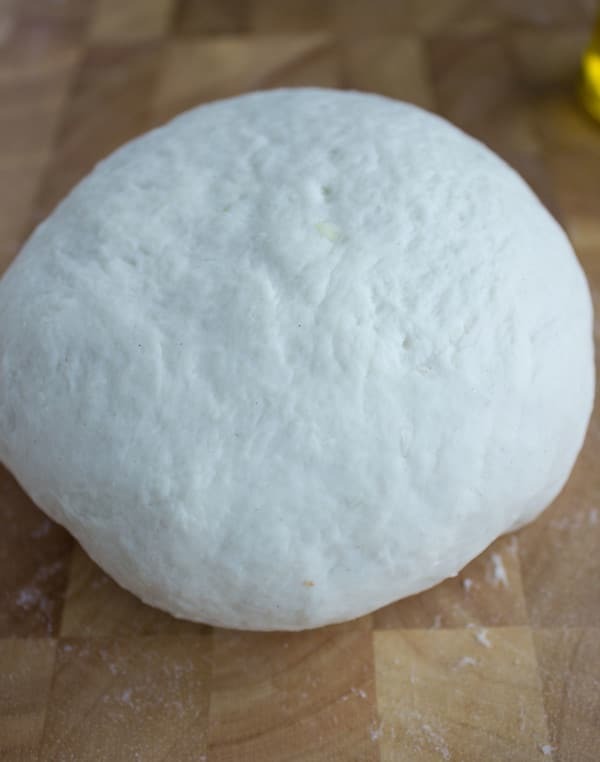 Make this dough your next challenge if you haven’t attempted dough yet, or make it your next “to do” pizza dough if you’ve made dough before and in both cases, you will be pleasantly surprised. Make double the batch next time and freeze the rest for a happy day. Enjoy! 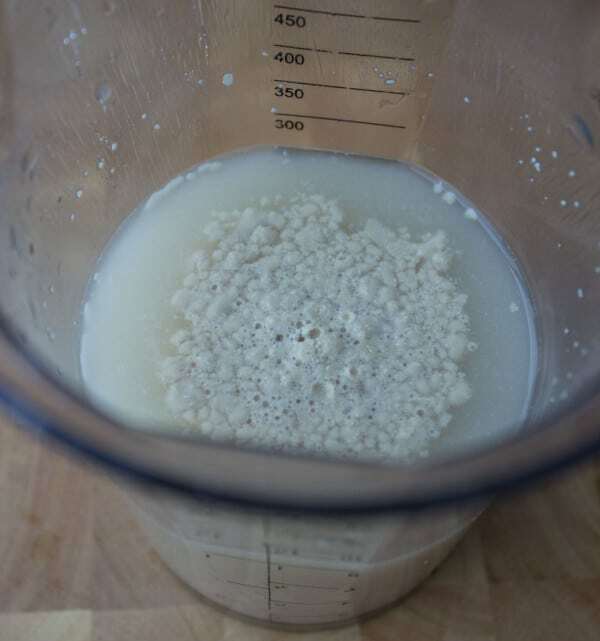 In a measuring cup, add the honey and yeast to the water and allow that mixture to sit for 1-2 minutes. It will start to go opaque and may foam and show bubbles on the top the longer you leave it—which is ok. 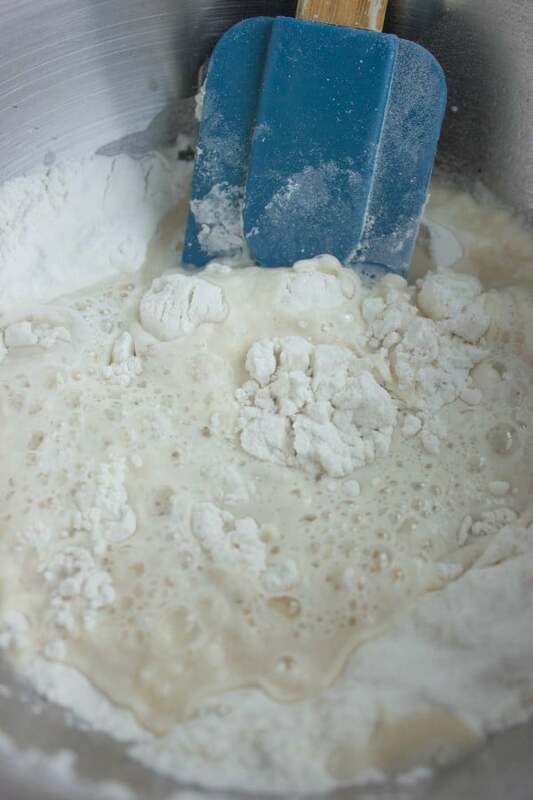 In a mixer bowl, add the flour and salt and mix them well. Then add the ready water mixture and knead the dough until smooth. This dough should not be sticky, but should not feel hard or dry to the touch, it should stick slightly to your fingers. In a large bowl, add the olive oil and cover the entire inside of the bowl with it. Then put your pizza dough in the bowl and roll it over the oiled surface so it’s entirely covered with a thin layer of oil. Cover the bowl with plastic wrap and let the dough proof (rise) in a warm spot (like inside your oven while it is shut off) for about 1 1/2 -2 hours until the dough doubles in size at least. Divide the dough in half ( or more, if making individual small pizzas) and work with one at a time. About half an hour before that point, preheat the oven to the highest setting. Place a pizza stone on the middle rack of your oven, and if you don’t have one, place a rimless cookie sheet directly on your oven rack. If you don’t have one either, take a regular cookie sheet and place it upside down on the rack (the rim of the cookie sheet should land on your oven rack). Using a rolling pin, or with your hands, shape the dough into your desired shape and thickness—Remember the dough will puff in the oven to double the thickness you roll it into! cover the dough for 10 minutes while you gather your toppings. Sprinkle your favourite toppings and bake the pizza for 8-12 minutes ( depending on the size and thickness of your dough). *To make a crisper pizza: roll out the dough thinner than you prefer ( it will still puff up to double its’ size during baking) and right away add your toppings and bake the pizza. Do not let it wait for 10 minutes after being rolled out. To make a soft interior pizza with a good crisp on the outside, be sure to roll out the dough and cover it for at least 10 minutes before adding your toppings and baking it. To make a softer crisp on the pizza, allow the rolled out dough to sit for half an hour before adding your toppings and baking it. 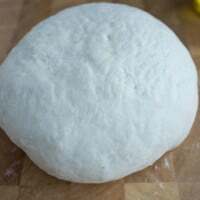 To make a really soft pizza, roll out your dough and let it sit half an hour before adding the toppings and bake it at 425 degrees for about 12-15 minutes (depending on the thickness and size of your dough). To make an even softer feel to your pizza, add 1 tablespoon of olive oil to the dough ( Right after adding the water mixture to the flour mixture, add the oil). 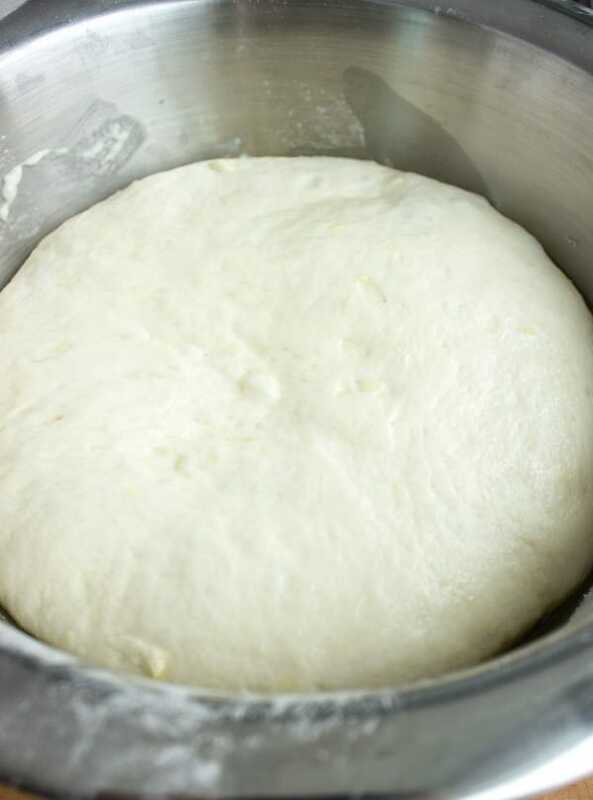 To add a more airy texture to your pizza, Let the dough feel sticky after you knead it, and when it’s ready to shape, use your handle and apply minimal pressure on to the dough. Shape it by stretching and pulling rather than pressing. Fridge: allow the dough to sit back in the oiled bowl in the fridge for up to 3 days. To bake, simply take out of the fridge and let it come to room temperature before shaping and baking. Freezer: Double wrap the dough in plastic wrap and then place in a ziplock bag in the freezer for up to 3 months. To bake, take out from the freezer and out of the wrap and place it in an oiled bowl over the counter or fridge (depends on when you need to bake it) until it defrost and allow it to come to room temperature before baking.